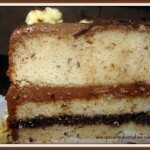 This cake is completely focused on hazelnut. 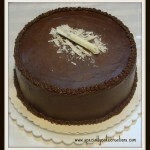 It is a hazelnut white cake, first filled with a hazelnut chocolate ganache and also a hazelnut buttercream. 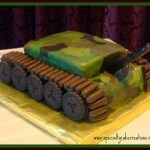 The icing is hazelnut buttercream as well. 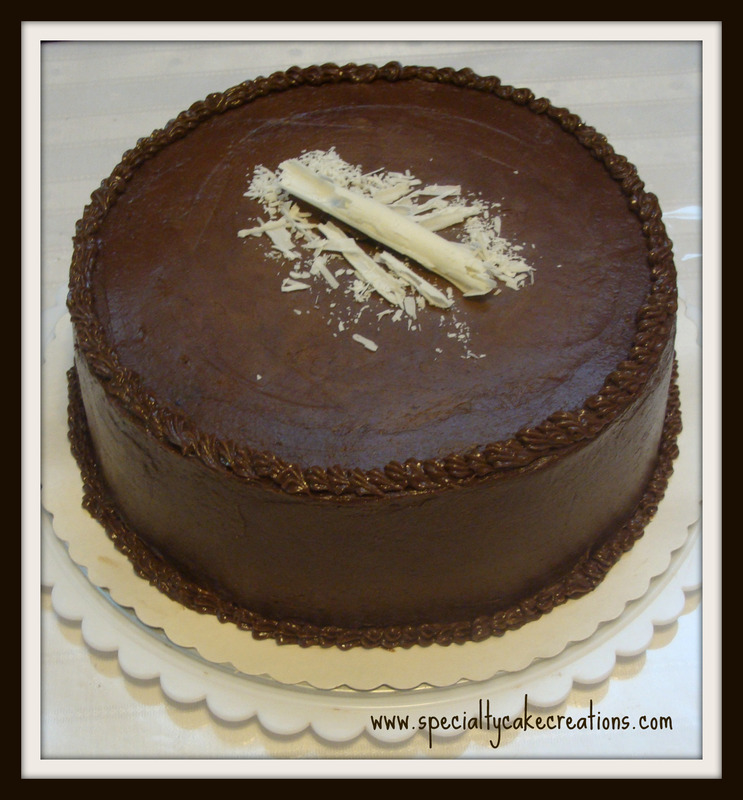 The decorative ruffle border and rosettes are vanilla buttercream and there are accents of chocolate shavings. 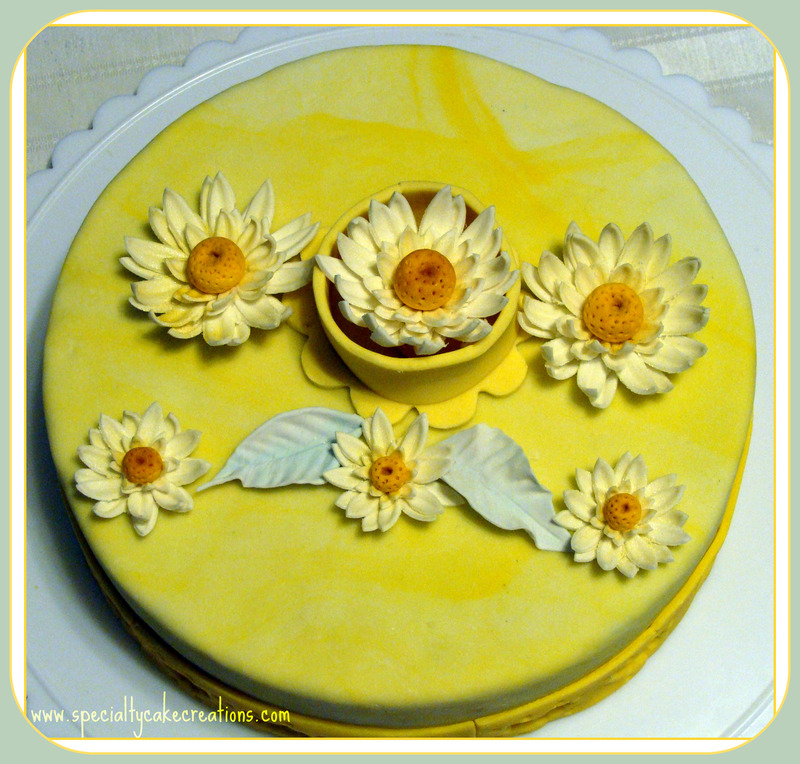 This is a cake so fresh and light that it is perfect for summer garden events. 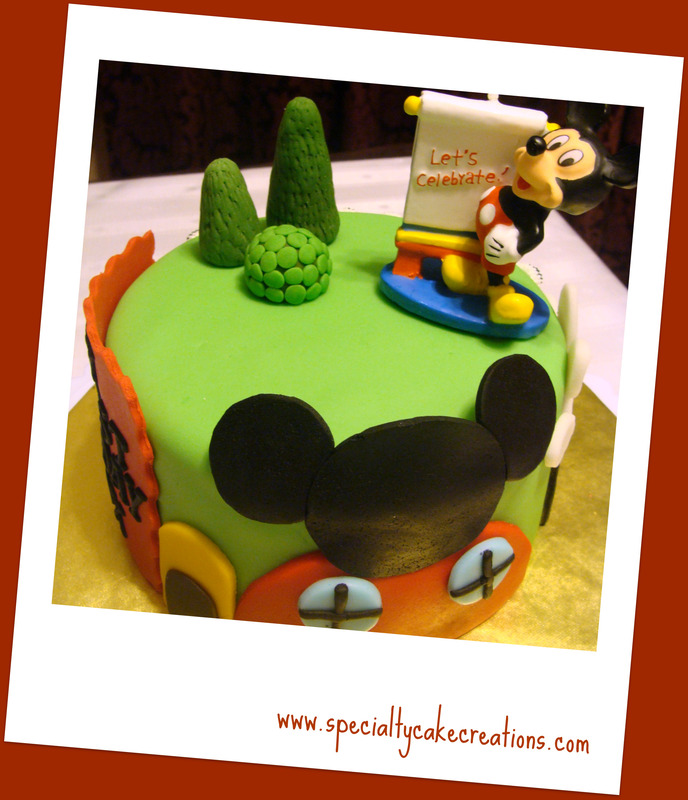 It is a yellow cake infused with blueberry syrup, a fresh fruit filling of blueberries and our special yogurt-lemon mousse. 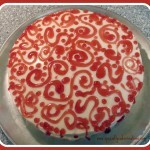 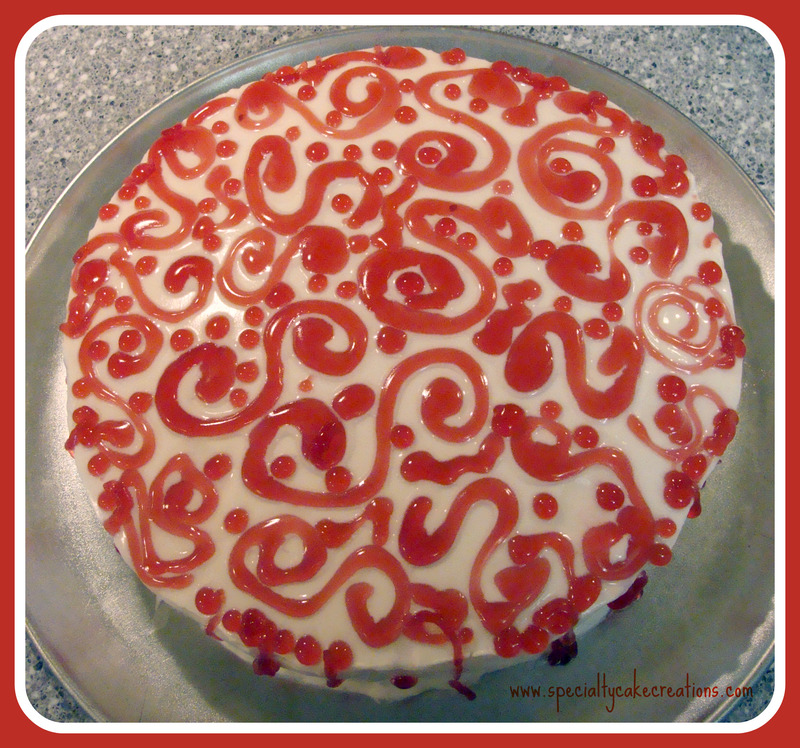 The cake is decorated with swirls of red fruit glaze. 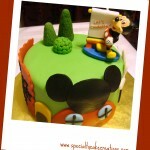 This cake was specially created for a customer’s European taste. 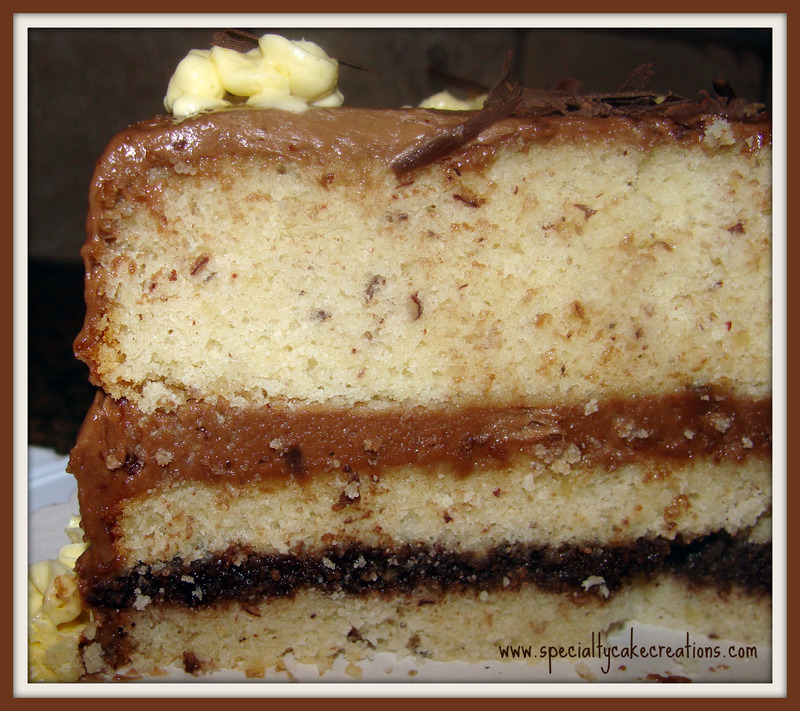 It is two layers of white cake with a hazelnut buttercream filling and icing. 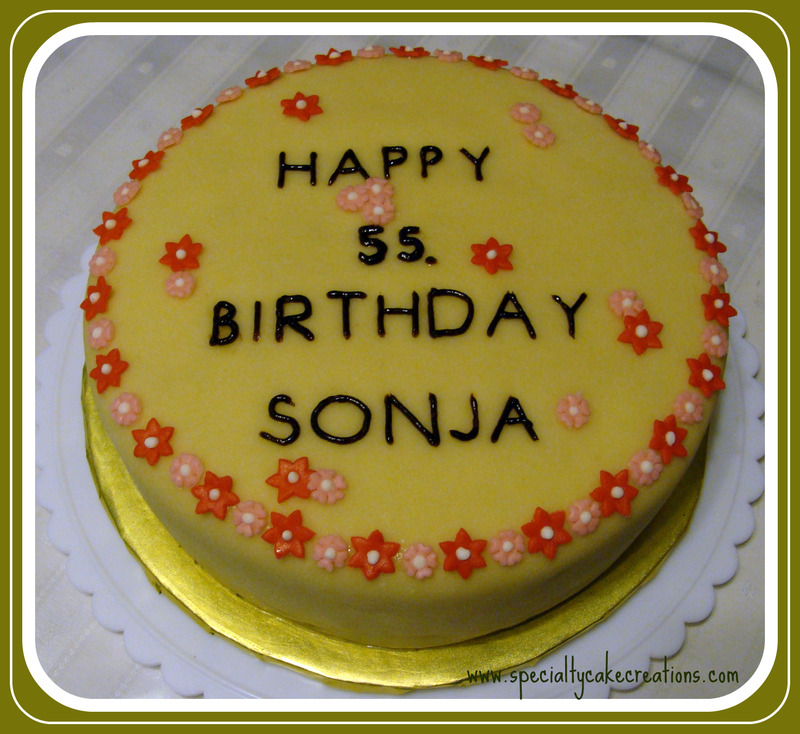 Then the cake is covered in marzipan – a delicious European almond paste. 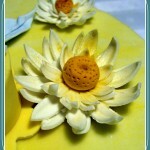 The miniature blossoms are also from marzipan. 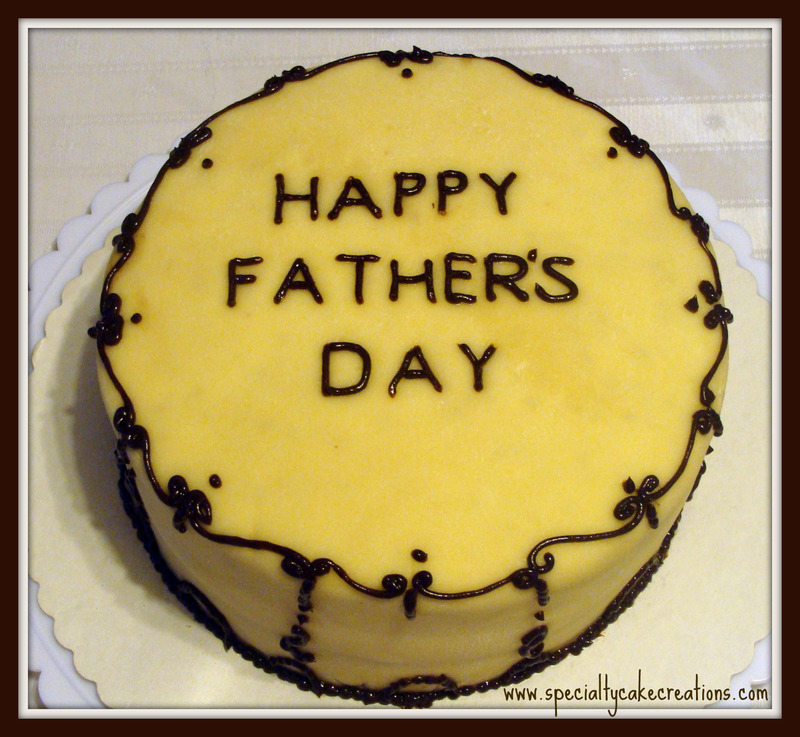 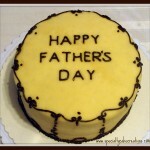 This special cake I made for my dad, but also for a lunch that was served at our church honoring all fathers. 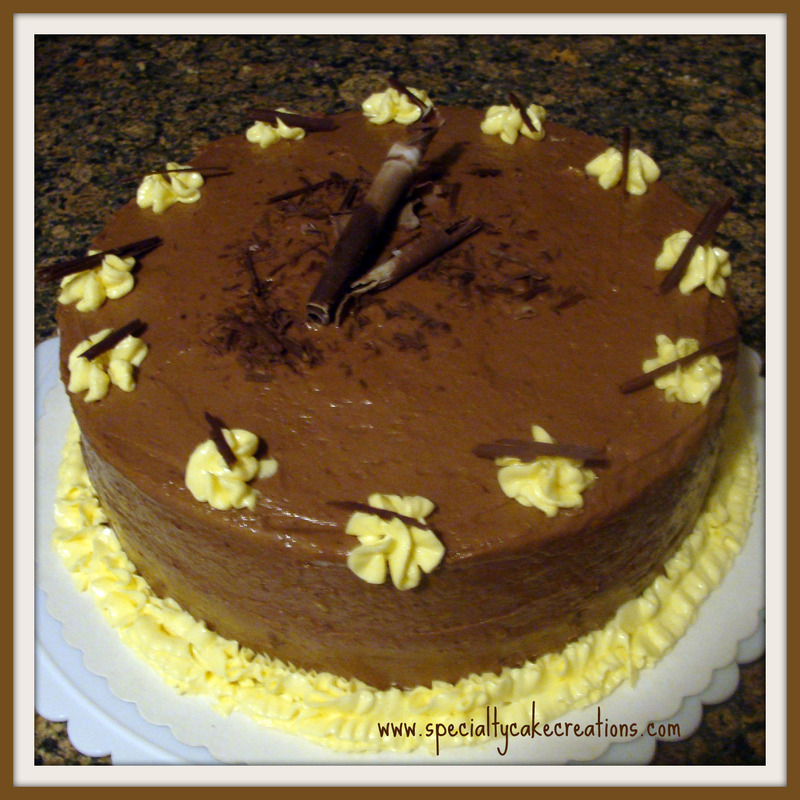 It’s a hazelnut cake with hazelnut buttercream, covered in marzipan. 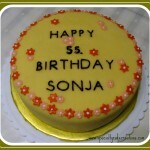 The piping decorations are from chocolate buttercream.